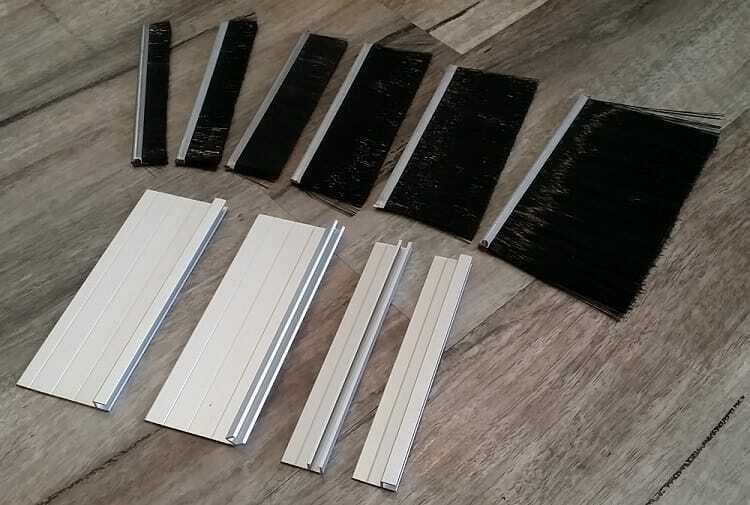 Our 4mm Strip Brush and Door Seals Set is ideal for stopping drafts, dust and pests from getting into your Home, Shed, Garage, Office or Factory. 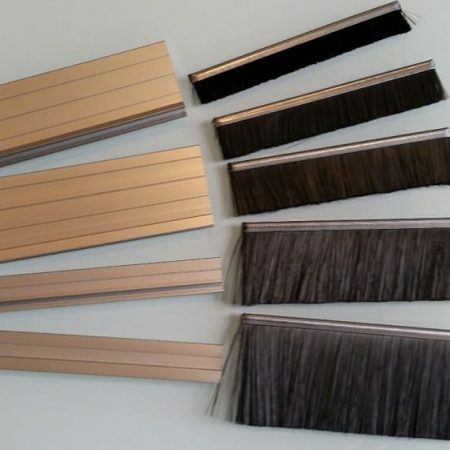 The Brush comes in a range of bristle lengths, 13mm, 19mm, 25mm, 38mm, 50mm, 75mm and 100mm. 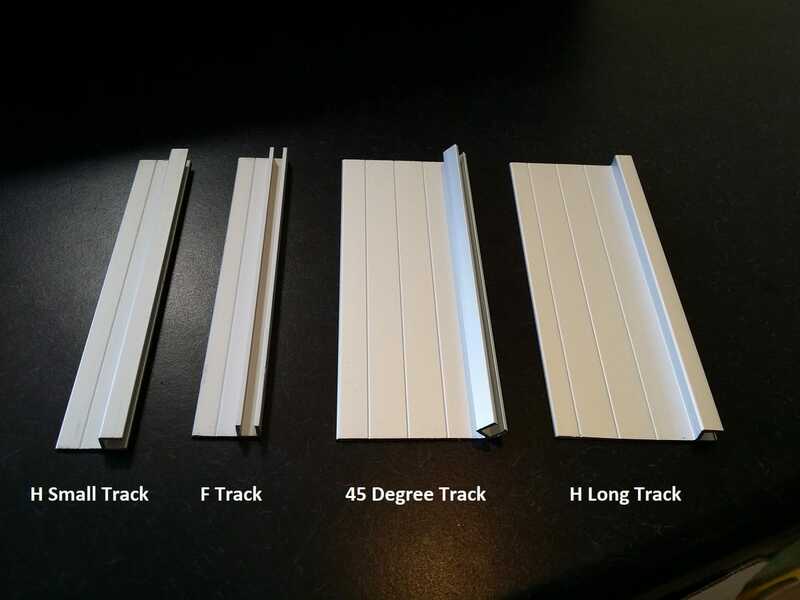 Also available with an Aluminium Holder in 4 profiles, h-Small Track, f Track, 45 degree Track and h-Long Track. Australia Post Shipping Is NOT available for lengths above 1m. Flat rate shipping only. 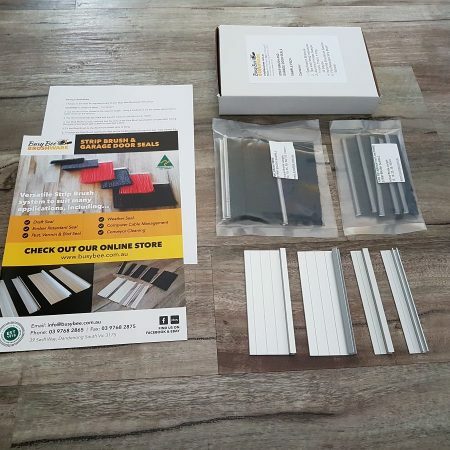 Very happy with product..good quality, easy install and quick postage…would recommend. We really appreciate your comments, thank you. Items arrived last Tuesday and I installed them on Wednesday and am happy to report that the brush functions extremely well. Just what I needed, now I might be able to keep my garage a bit cleaner! The gift of a stubby holder was much appreciated too! Great customer support and quality workmanship always accurately cut to size and neat finish. Would recommend busy bee to anyone.. Thanks so much for the feedback, we pride ourselves on our quality and fast turnaround. And to have an Australian Made product. Thanks for your feedback, we’re really glad this product worked so well for you. This product was used by Aqua Arc pool covers to seal the gap below the end panels. After a few years, the brushes started to lose bristles. The strips continue to drop bristles and I will now have to replace about 8m of seal strip. I have looked at your 9mm strip brush as an alternative. This brush uses polypropylene instead of nylon, so maybe more durable. Alternatively, I may consider a neoprene strip. The bristle length is 100mm. Perhaps this product should not have been used in a pool enclosure application? The galvanised backing strips are showing signs of corrosion. The pool is a fresh water pool with minimal use of chemicals. We had a look back through our records and we cannot find any record of when your Strip was purchased or whether it was through us. However any Brush will break down over time, particularly when it is exposed to the elements. In the situation where it is located near pool salt or chemicals, this exposure would speed up the process. The backing of the Strip is made from Galvanised (ZincSeal) Steel, so it will show signs of superficial corrosion. 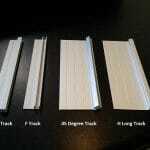 It is also possible that the outer layer of the Nylon bristle has suffered from sun exposure and dried out over time. This can cause the fibre to become brittle and break off. The 9mm Polypropylene Strip Brush will also break down over time for the same reason. You mentioned Neoprene and, again, that would also show wear over time when exposed to the same conditions. Whichever way you go, you will need to consider this a “consumable” product application. Feel free to call us directly to discuss this further. 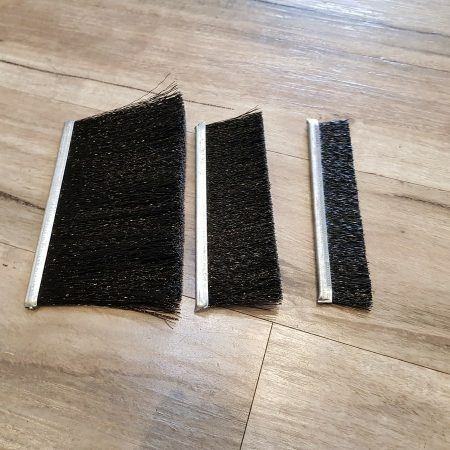 Purchased 50mm wide brushes for roller door side seals and small brushes for bottom of our double security door. 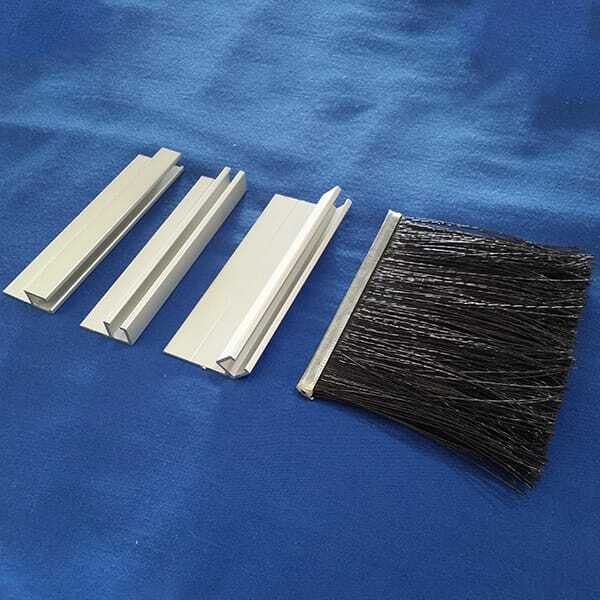 In both cases the brush seals and aluminium frames are of high quality. The product arrived quickly by delivery and I am very pleased with your customer service and follow up. I have recommended your company to a few people.